How do you pack 61 poets in between 2 covers and keep the result mesmerizingly interesting? Simple. You just pack 61 poets in between 2 covers. Oh, yes, you also make sure their styles are as unexpected and as incoherent as an orchestra tuning its musical instruments. Oh, yes, you also make sure their art’s beauty is as unexpected and as coherent as a flock of starlings dancing in the sky. Oh, yes, sure, you also make sure the mix of the proposition is as unexpected and as varied as the space between the 2 covers allows regarding gender, nationality, sexual orientation, origins, language (translated of course), religion, age, profession, experience… and so on and on and on. Oh. Yes. You also do not forget the voice of those who lost their voice forever and ensure it lives on. Forever. The paper nugget you are holding in your hands is worth its number of pages in ounces of gold. Probably more. Numerous poets included in it have been nominated-for/shortlisted-in/finalists-at/recognized-by and, of course, won a large number of high-profile high-quality writing prizes, titles, honorable mentions and awards on national and international schemes. A far from exhaustive list of which includes: National Women Hall of Fame membership, Zoetrope All Story contest, Gilbert Theater competition, Virginia Library Association Poetry Book award, Robert Frost Foundation Annual Poetry award, Alabama State Poetry Society Book of the Year, History Book Club Essay contest, Erbacce-Press Poetry award, Pushcart Prize, Vailero Prize for poetry, Pulitzer Prize, Unicef Short Story award, Bridport Prize, Sidney Booktown International Poetry contest, Petra Kenny International Poetry competition, White Pine Press Poetry Prize, CAA National Prize for literature, San Gabriel Valley Poetry Festival Chapbook competition, Ballymaloe International Poetry Prize, Library of Virginia Nonfiction award, Westport Arts Festival Poetry competition, Mario Luzi Prize. The number of journals, magazines, anthologies and books carrying these poets’ art counts in the hundreds. Who are they? Professors, teachers, musicians, scientists, students, housewives, bricklayers, journalists… poets. All of them. 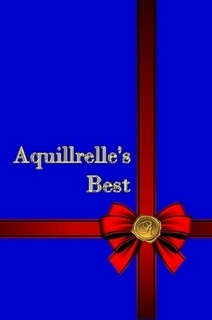 Aquillrelle’s Best: this anthology contains 4 chapters with poets that were selected in: 1 – Reader’s Choice (http://www.aquillrelle.com/readerschoice.htm ); 2 – Poet of the Month (http://www.aquillrelle.com/pom.htm ): 3 – Contest Winners (http://www.aquillrelle.com/past%20winners.htm ); 4 – In Memoriam (for several of our members and friends who, oh so sadly, passed away). This book will also be sent to an “independent-publishers” contest. Poets Appearing in Aquillrelle’s Best: Abhishek Dua, Albert Russo, Alisa Velaj, Anastasia Nikolis, Andrew Campbell-Kearsey, Carolyn Moore, Charles Banks Jr., Chaz Gee, Chris G. Vaillancourt, Cindi Silva, Daniela Raimondi, Dorothy and Mark Johnson, Earl LeClaire, Elijah Guo, Ellaraine Lockie, Fahredin Shehu, Frank Steenson, George Amabile, Gloria MacKay, Godson Osarenren, Holly Spencer, Hugh Lawrence Monro Wyles, Jack Trammell, Jane Kingshill, Jaye Tomas, Jeff Walt, Jessica Livermore, Jinn Bug, John Mc Guckin, Joseph Adkins, Joseph Hesch, Joy Leftow, Karen Powell, Kristina Monroe, Linda Mills, Lynn Veach Sadler, M. Lee Alexander, Magda Karavageli, Marc Creamore, Marsha Berry, Matlyn Peracca, Nicolette van der Walt, Paul McMahon, R. L. Kurtz, Raj Shekhar Sen, Rinzu Rajan, Robert Gibbons, Robin Ouzman Hislop, Romi Jain, Sadiqullah Khan, Shigufta Hena Uzma, Stefy Janeva, Sullivan the Poet, Tavius Dyer, Tom Berman, Tyler Drescher, Udita Garg, W. Jude Aher, Wanda Lea Brayton, William Fraker, Zayra Yves.